No more vibration when seeking yardage! Ranging a thin flagstick on the 18th green, up one stroke, you better be sure of your distance. Is it 180 yards, or did you miss your mark and range an object behind the flagstick because you couldn’t hold it still? With Nikon’s COOLSHOT PRO STABILIZED, you can eliminate approximately 80% of hand movement* during those high stress moments and range more confidently at longer distances than ever before. The COOLSHOT PRO STABILIZED integrates an all-new red OLED display that will adjust brightness accordingly for the surrounding ambient light. Its new LOCKED ON Technology green circle display visually confirms that your measurement is to the flag. Faster ranging not only speeds your play, it helps assure the correct measurement every time you range. 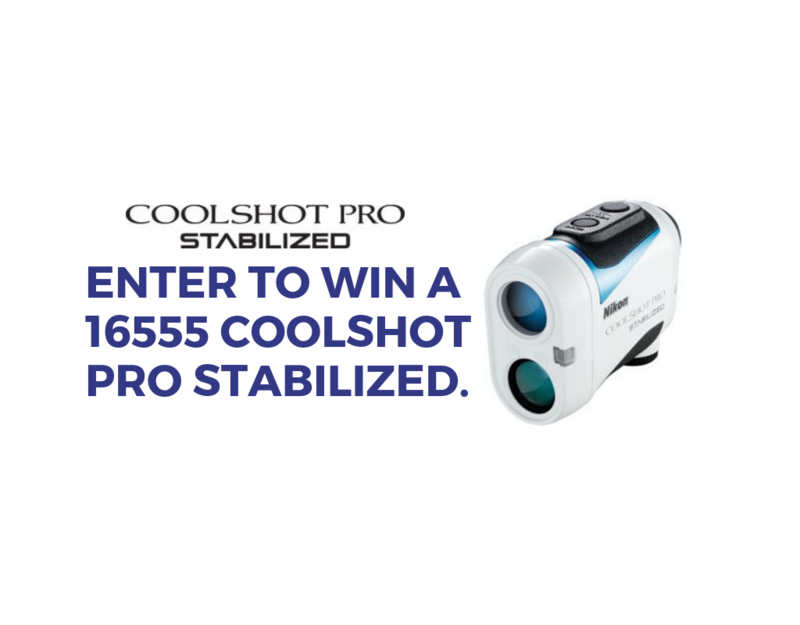 COOLSHOT PRO STABILIZED has an incredible measurement response time of approx. 0.3 seconds, regardless of distance. The rangefinder also incorporates ID Technology to display slope-adjusted distances (Horizontal distance ± height) when turned on—ideal for accurate measurements on courses with uphill and downhill slopes. COOLSHOT PRO STABILIZED features an “Actual Distance Indicator”, which is a blinking green LED light located at the forward body, to show that Incline/Decline (ID Technology) function is turned off. This feature will allow use in official competition where the local rules permit the usage of a distance-measurement device. 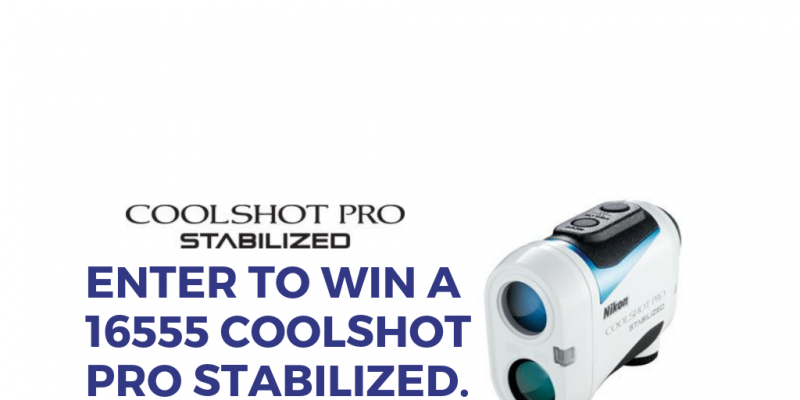 Whether you are an experienced golfer or just beginning, Nikon’s COOLSHOT PRO STABILIZED will help you improve your game by allowing you to focus on making each shot count.